EasyHostingASP.NET | Best and cheap web windows hosting provider. Both providing varied hosting services to users with different needs, ASPHostPortal and Site5 have built a reputation in the industry. According to our reviews, most of their services are priced reasonably, and they provide quite rich features to help users carry out their website building and optimization plans. For the comparison between ASPHostPortal and Site5, we only selected the popular shared hosting plans in order to analyze the cost-effectiveness, support and performance. And as a result, ASPHostPortal won the competitor in almost all these things. In below, you can get detailed comparisons of the costs, features, performance and support. How Much You Should Pay & What You Can Get from Them? When buying a new thing, you should always take the price, discount, features, and refund guarantee into consideration. And these are what we will discuss here. Site5 also provides 3 plans whose regular prices start from $5.95/mo to $13.95/mo. If you select the 24-month billing cycle, the costs will reduce to $4.95/mo – $11.95/mo automatically. When they are compared, ASPHostPortal is a cheaper choice if you are going to try their services for the first time. In terms of the money back guarantee, there is a difference between ASPHostPortal and Site5, but generally speaking, both of them are reliable in this aspect. ASPHostPortal : Full refund within 30 days and pro-rated refund after 30 days. Site5: Full refund within 45 days, with no pro-rated refund. Both of ASPHostPortal and Site5 provide limited resources in the entry plans to meet the needs of beginners, and offer unlimited resources in the other plans. While in all their plans, there are unlimited storage and bandwidth, a 99.9% uptime guarantee, Plesk Panel, Softaculous installer, PHP, Ruby, Perl, Python, SSI, SSH, and many other advanced features. However, ASPHostPortal does provide many more features for the advanced users. You can learn the details in this comparison table. How About Their Windows ASP.NET Hosting Performance? ASPHostPortal and Site5 use secure servers, network infrastructure and data centers, since there have been no major attacks reported against them. But still, the uptime and speed need exploration. The servers used by ASPHostPortal and Site5 are quite reliable. For example, they are purchased from brands like Dell, and the data stored on them is protected by a RAID 1 or RAID 10 configuration. Combined with the redundant data center power, full network capacity and automated backups, those servers can guarantee a good uptime. That’s why the two web hosts can achieve 99.9% uptime during our monitoring. Do They Offer Good Technical Support? The similarities between ASPHostPortal and Site5 in technical support are the same rich support channels which include a ticket system, live chat. The differences, however, lie in the support response time and the professionalism of their support agents. The ASPHostPortal support team replies tickets in a consistent and quick way, and the support agents show their professional knowledge clearly. However, Site5 ticket support is widely criticized for the low efficiency and lack of a good attitude. If there are several replies in a ticket, the Site5 support staff may not read through all of them. ASPHostPortal and Site5 are widely-heard names for web hosting, but when they are compared, ASPHostPortal wins the battle because of the higher ratings in speed, features and support. 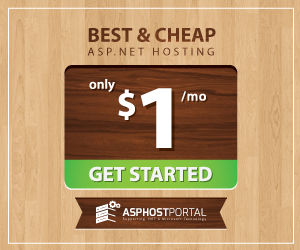 Also, the promise of anytime money back makes it good to try ASPHostPortal shared hosting services.